I’m not sure my introduction will do justice to this week’s interview between OHR managing editor Troy Reeves and DePaul University Professor Miles Harvey. An English professor and bestselling author trained in journalism, Harvey is the editor of How Long Will I Cry: Voices of Youth Violence (Big Shoulder Books, 2013), a compilation of oral histories collected by students in Harvey’s class “Creative Writing and Social Engagement” from young and old Chicago residents affected by youth violence. In addition to relating the powerful collection’s interdisciplinary origins, Harvey discusses oral history as a narrative form and the value of collaborative story telling. Finally, here is an excerpt from the collection. This story comes from LaToya Winters, who grew up on the West Side of Chicago. She currently studies sociology and Family and Child Studies at Northern Illinois University. My grandmother, Carrie Winters, was born and raised in Mississippi. After her parents passed on, she moved to Chicago. She wanted to find work, and she wanted a better life for her children. She worked all these odd jobs just to make a way for her kids—two to three jobs at a time. She worked at Campbell’s Soup forever, and that passed down to my aunt working there. My grandmother bought her house in maybe the ’40s and lived there until she died in 2006. I always smelled a sense of soulful in her. I could smell this perfume that she’d always wear, especially when she went out or went to church. When I say she was churchgoing, I mean churchgoing. She was always cooking, everything from the big dinners to macaroni to the chitlins. She had a kind of curl to her hair, because she always wore rollers when she went to the beauty salon. She was a hard-working, independent woman; I see that in her from as early as I can remember. It is still deeply rooted in her grandkids today. Oh my God, we are pieces of my grandmother. A lot of my grandmother’s kids strayed off—a majority of her kids, honestly. Some of them were alcoholics; some were drug addicts like my mother, Raquel. My grandmother raised me. My mother had nine kids, and my grandmother had custody of all of them, plus maybe 10 to 15 of my cousins. My uncles’ kids, then my aunts’ kids—my grandmother raised all of us. We had a two-flat building with a basement, a first floor and a second floor. There was always room. My grandmother reached out and took care of kids that weren’t hers. At Thanksgiving dinner, if we had a friend who didn’t have anywhere to go, my grandma had enough to go around. She had her table set for everybody. If me and three cousins had to sleep in the same bed, we always had somewhere to sleep. My grandmother adopted all of us, because everyone had their different problems, and she refused to let us be separated. She never closed the door on anybody, including her own kids who didn’t, you know, fulfill their parent responsibilities. I never even heard my grandmother talk down about anybody, no matter what. Gangs always existed in my neighborhood. The majority of the guys in my family are affiliated with the Gangster Disciples; so are the majority of people in my neighborhood, actually. I never understood what it was about gangs, but then, as I grew older, I learned more. I’ve had these sociology classes about it, and I see the way gangs have destroyed people. I’ve talked to people like my uncles and cousins and brothers who say, “I got put into the gang when I was younger,” and, “If I could have gotten out, I would have.” But some of them wouldn’t have. Like I always say, “You live by it, you die by it.”…. You can read the rest of LaToya’s story, as well as others, at Medium.com. Professor Miles Harvey is the author of the award-winning novels Painter in a Savage Land: The Strange Saga of the First European Artist in North America (Random House, 2008) and The Island of Lost Maps: A True Story of Cartographic Crime (Random House, 2001). More recently, Harvey worked with a group of DePaul students to collect stories about youth violence across Chicago. 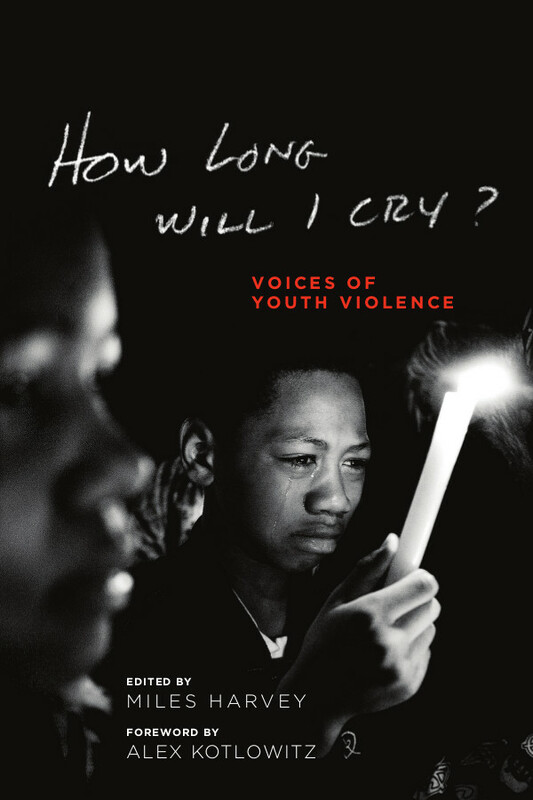 This endeavor led to a play staged at Steppenwolf in Spring 2013, and the oral history collection How Long Will I Cry: Voices of Youth Violence (Big Shoulder Books, 2013). He currently serves as Assistant Professor in English at DePaul University.